China’s four decades of reform and opening-up have been described by Chinese President Xi Jinping as “self-revolution and self-reform.” In his keynote speech at the opening ceremony of the 2018 Boao Forum for Asia (BFA) Annual Conference in South China’s Hainan Province on April 10, he argued that openness to the rest of the world had set the stage for China’s economic growth for 40 years, and further opening would chart the country’s way forward to high-quality growth in the future. He criticized the “cold war mentality and zero-sum game,” and the ideas of “confrontation” and “beggar thy neighbor.” He promised that China would never bully anyone, topple the existing global system or seek a sphere of influence. Chinese analysts say these remarks were aimed squarely at the US. Further opening up to the rest of the world is enshrined in China’s top policy declaration. “China adheres to the fundamental national policy of opening up and pursues development with its doors open wide,” states the report approved at the 19th National Congress of the Communist Party of China (CPC) in October 2017. Reform and opening-up have underwritten China’s economic take-off over the past four decades. Now China is pursuing high-quality growth. This means being more open to the rest of the world to encourage Chinese enterprises to participate in international competition, Zhang Yansheng, Chief Researcher of the China Center for International Economic Exchanges, a think tank under the National Development and Reform Commission, told NewsChina. The measures of openness announced at Boao focus on market access, intellectual property protection, business environment and imports. 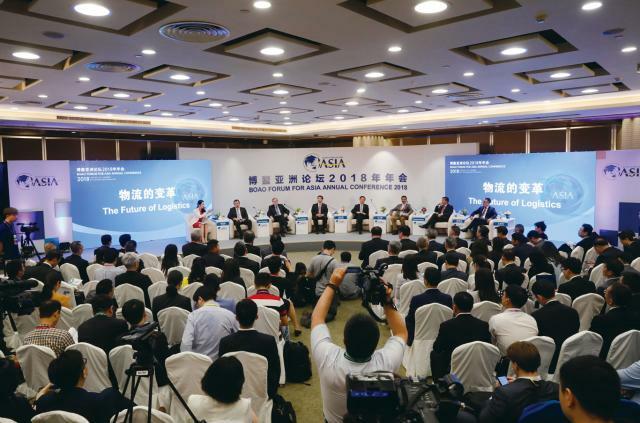 Professor Zhao Zhongxiu, vice president of the University of International Business and Economics, thinks they are designed to break the bottleneck of China’s openness in the next stage and lay an institutional foundation to facilitate the opening. He added in his interview with NewsChina that these measures would also help defend the world’s multilateral trading system and economic globalization for all. China’s opening-up is also regarded as an important step toward “building a community with a shared future for mankind,” a vision enshrined in the charter of the CPC at its 19th National Congress and China’s Constitution in March 2018. The vision Xi presented in his speech at the 19th Congress was one of an open, inclusive, clean, and beautiful world that enjoys lasting peace, universal security and common prosperity.” The concept has been adopted by several resolutions of the United Nations, including the Security Council and General Assembly. China has reaffirmed its vision and entered a new era of opening-up just as the world is facing anti-globalization momentum, former Chinese vice minister of commerce Wei Jianguo told NewsChina. He added that opening up is China’s own choice and a forced opening is not acceptable. On April 11, the day after Xi promised to translate the opening-up commitment into action “sooner rather than later,” Yi Gang, governor of China’s central bank, laid out a timetable and measures for the first big round – the opening-up of the financial sector. Restrictions on foreign stakes in banking, securities, insurance, consumer financing and asset management would be reduced or removed. Higher quotas would be granted to daily stock market transactions between the Chinese mainland and Hong Kong. The Shanghai and London stock exchanges would open to investors from each other. These will all be realized in the next few months or by the end of the year. On April 12, China’s State Council declared it would remove tariffs from all imported cancer drugs beginning on May 1. Chinese Premier Li Keqiang called for a further reduction in the price of imported drugs – particularly cancer drugs – covering them under national health insurance, using cross-border e-commerce platforms and streamlining the process of applications for clinical testing and customs declarations. On April 13, the 30th anniversary of Hainan being made a special economic zone, Xi announced that the province would become the country’s largest free trade zone and, ultimately, a free trade port. It was in special economic zones that China began its early reform efforts with favorable treatment – cheaper land and less tax – for foreign investors. In 2013, China began launching free trade zones, which were designed to attract Chinese and international investors with less red tape and greater market access. These are the sandboxes of reform and opening-up. In early 2018, Shanghai announced its plans to build a free trade port in the vein of Singapore and Hong Kong. Xi described the decision to make Hainan Province a free trade zone and a free trade port as an important step in “demonstrating China’s determination to further open up to the rest of the world and promote economic globalization.” He invited investors from around the world to set up a business in Hainan. On April 14, the CPC Central Committee and the State Council released a guideline on how to build a free trade zone and free trade port in Hainan. The province will aim to offer China’s best business environment by 2025, and one of the world’s best by 2035. Indeed, Hainan is not the only nor the first national free trade zone or port in China. But it is the largest, and more importantly, undertakes nearly all tasks that China aspires to achieve in its reform and opening-up in the years to come. 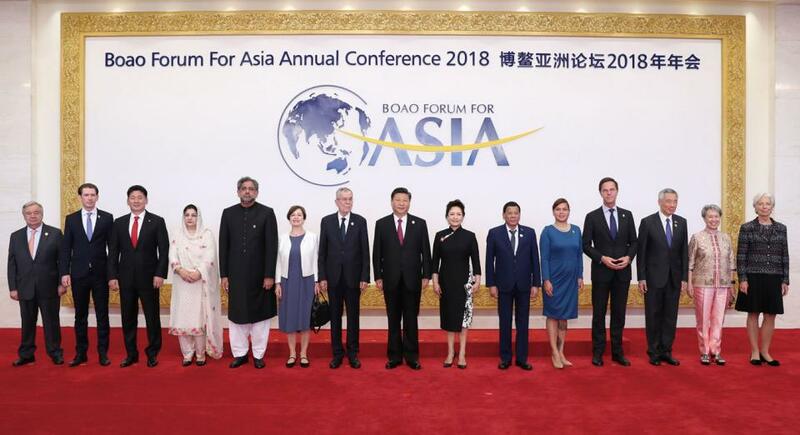 It would engage or pioneer in national priority strategies and sectors, including the Belt and Road Initiative, high-end service development and trade, technological innovation, the maritime economy, rejuvenation of the countryside, reform of State-owned enterprises, international tourism, ecological protection, reform of the administrative system and social governance. Every other free trade zone or port only serves a few of these functions. On April 17, China’s National Development and Reform Commission annulled the restrictions on foreign stakes in the sectors of special purpose vehicles and new energy automobiles, shipbuilding and aircraft manufacturing. It will also give a five-year timetable for openness in other sectors, mainly manufacturing. Financial sector openness has been widely regarded as unprecedented and bigger than expected. But it cannot be defined as a “big bang” – extremely drastic deregulation – according to Yi Gang. At a press conference at the Boao forum on April 11, he identified three principles of prudence. First, foreign investors will be treated the same way as domestic ones. They can offer any services in China that are not on the negative list. Second, financial sector openness will move forward in coordination with reforms of the yuan’s foreign exchange rate system and capital controls. Third, special attention will be paid to preventing financial risk and developing a more effective regulatory framework. There are concerns that financial openness could bring more volatility to cross-border capital flows in and out of China. Yi Gang said regulators would consider the issue and ensure capital flows are stable and efficient enough to facilitate global asset distribution. He added that foreign investors will invest in China’s stock and bond market and Chinese investors will increase their portfolios on the overseas markets. In June, some of the big Chinese stocks will join the emerging market index of the MSCI, a world-leading index provider. In April 2019, the yuan-denominated debt securities issued by the Chinese government and policy banks will be included in the Bloomberg Barclays Global Aggregate Index. It means international asset managers will have to invest in Chinese stocks and bonds. According to the OECD FDI Regulatory Restrictiveness Index, restrictions to financial services in China were higher than the OECD average and most other developing economies in 2016. Further opening of the financial sector will boost domestic competition, cater for the increasingly diverse needs of financial consumers and improve the international competitiveness of China’s financial institutions, said Zhao Jinping, a research fellow with the Development Research Center of the State Council, in an article for the China Economic Times published on April 16. There are also hopes that opening to foreign investors will promote domestic reform. Further openness should also be applied to domestic private investors, said Deng Haiqing, chief economist with brokerage firm JZ Securities in Beijing, in an interview with the China News Service on April 12.